elrow, the craziest partymakers in the world! With more than 100 shows and festivals under its belt, they pull in over 2.4 million attendees all over the world, every year. 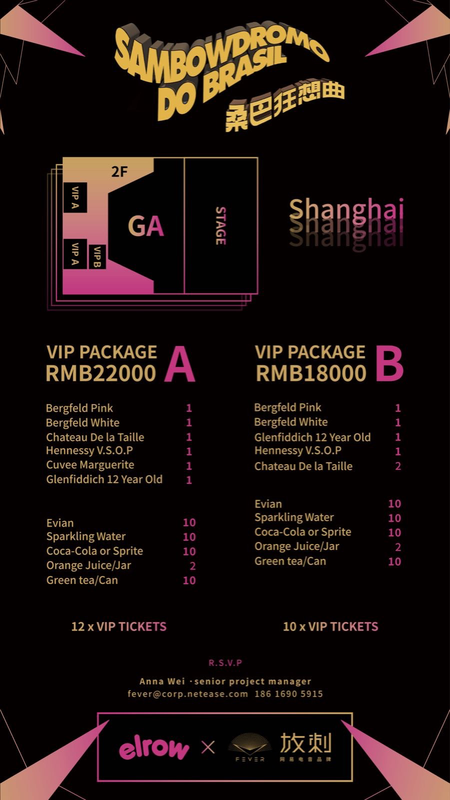 They're bringing the electronic-music-infused SAMBOWDROMO DO BRASIL to Shanghai's Modern Sky Lab! You've crashed in the jungle! 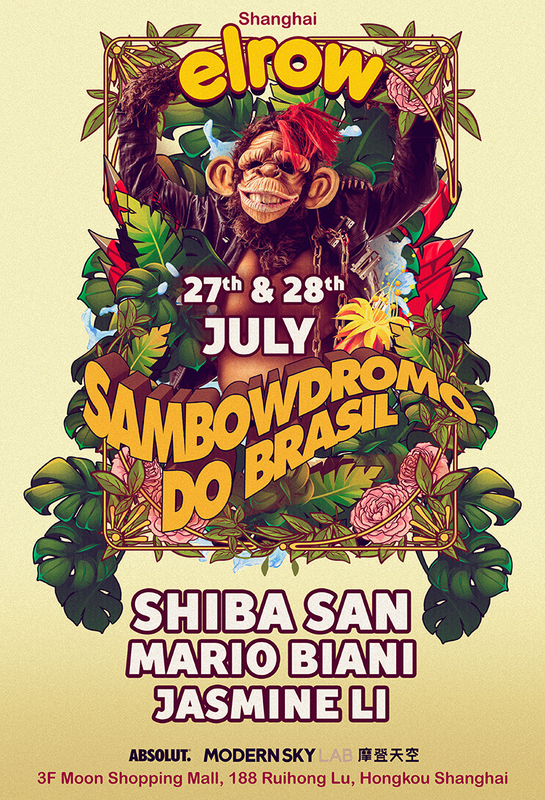 Thank God DJs Shiba San, Mario Biani and Jasmine Li have crashed along with you, and now you're surrounded by pulsating rhythms, wild animals, lost explorers and fun-loving jungle dwellers. Anything is possible in the Sambo jungle and you will be right in the middle, so just get dancing!